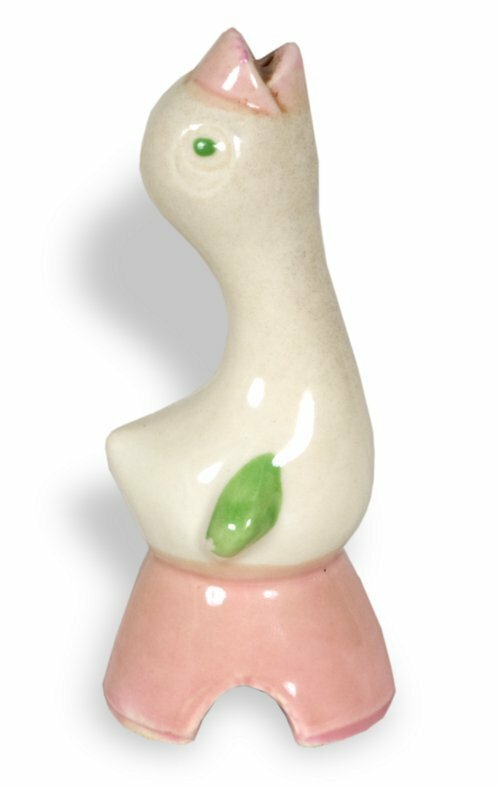 The Shawnee Pottery Company in Zanesville, Ohio produced this pie bird likely as a premium for the Pillsbury Flour Company. Pie birds were placed in the center of a pie prior to baking. The bird allowed steam to escape, preventing the pie from boiling over. Effie Montgomery Kelley of Ottawa, Kansas owned this pie bird.